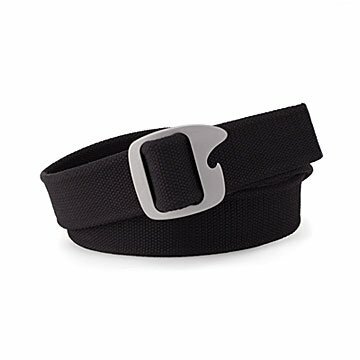 Made from lightweight, durable aircraft aluminum, this buckle's never met a cap it couldn't open. If you remember to put on a belt—this belt in particular—you'll never go thirsty. Made from lightweight, durable aircraft aluminum, its buckle doubles as a bottle opener. Tailgate parties, camping trips, backyard BBQs: you'll be the hero at them all, coming to the rescue at the sound of those desperate words, "Can someone open my beer?" Made in Oregon.